Water from untreated sources (like streams, lakes, and tanks, etc.) contain harmful bacteria, pathogens, and toxins and can be purified to be made safe for consumption by the help of Portable Water Filters. These devices don’t take up much space, are easily transported and don’t require much maintenance also. Sometimes it’s hard to figure out if water is actually clean and safe as there are cases where the clearest water may contain a million parasites. Consumption of contaminated water can cause many water-borne diseases like Cholera, Typhoid and Diarrhea, etc. In order to avoid such diseases people who don’t have access to clean water (campers, hikers, military personnel and survivalists, etc.) use Portable Water Filters to purify water from untreated sources they come across. So how do water filters work? Pretty simple, water filters are equipped with a substance cartridge which traps tiny particles such as debris and other harmful bacteria and protozoa and pours out odorless, clean water. One thing you should keep in mind is that recurrent use clogs the filter and it must be cleaned or replaced regularly. Before you start finding the best portable water filter which suits the particular situation, it’s always best to keep a budget. 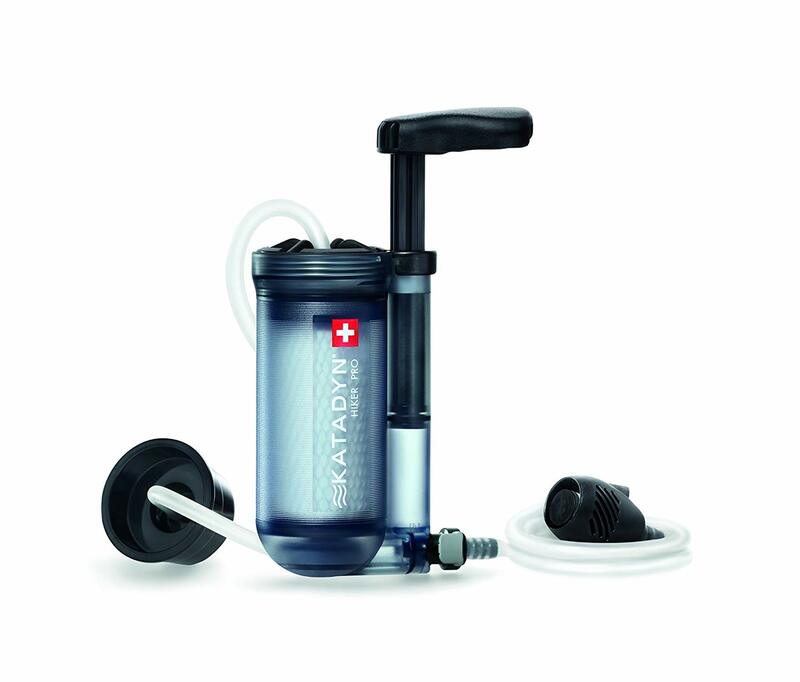 Different portable water filters come at different prices based upon the features that they offer. Even if you spend a lot on buying one it won’t guarantee you utmost purity of water. There are different models available at cheaper prices and they guarantee the best performance. So if you’re spending on one make sure you get your money’s worth. Different portable water filters have different functions of their own. If you are taking a hike in high-altitude Mountains then you’ll need a water filter that can filter out bacteria and parasites. If you’re traveling to an area where there will be a lot of people and you want to reduce the risks of catching a virus then you’ll require a water filter which removes viruses. No portable water filter can remove all sorts of protozoans, bacteria, and viruses. Each filter has its own function and use, therefore you’ll have to spend on the one which is most useful to you. If you’re traveling long distances then carrying a heavy filter along with you can be a pain in the neck. You’ll need to narrow down your interests on water filters and take account their weights. 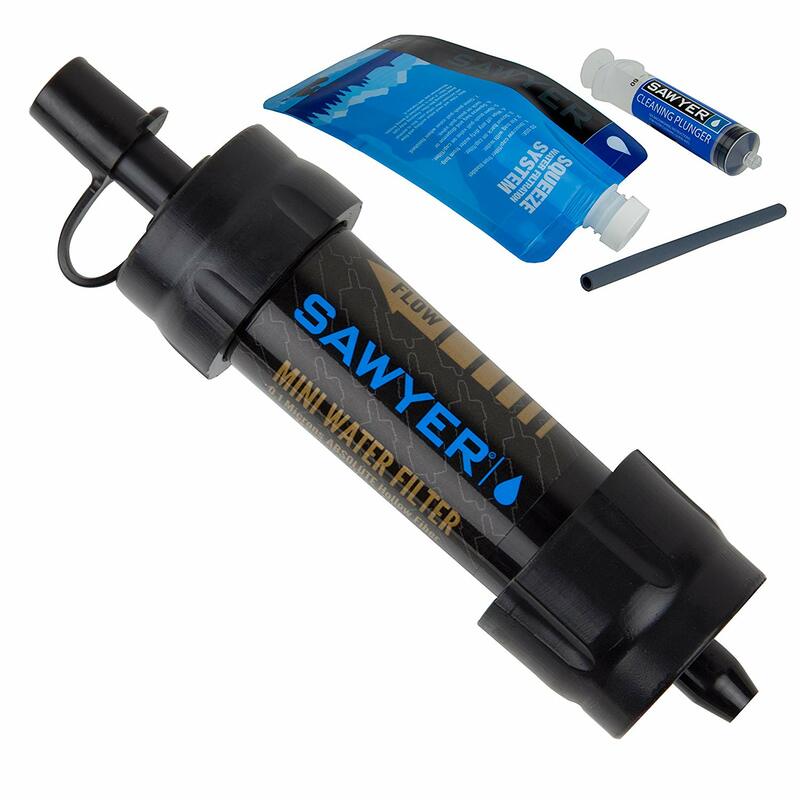 Each portable water filter is equipped with different filtering technology, components, and cartridges. Therefore, different filters have different weights. So it’s important to know how much you can carry and thus choose accordingly. In this context speed simply means the filtration speed as in how quickly water from the source can be filtered into pure, drinking water. Different models filter water at different speed rates. Some water filters can filter a few milliliters per minute while some models can filter up to 500 milliliters per minute. Depending upon your requirement or the number of people presents you can choose the favorable model. A filter capacity basically means how long the filters last for. Different models come with different capacity. Some people require filters just for a few days of use while some people (for example survivalists and military personnel etc.) require water filters that can be used for longer periods. Depending upon your requirement you can choose whether you want just a couple of hundred liters of water to be purified or you want a filter that can purify up to thousand liters of dirty water. Some portable water filters are easy as cake, they purify water very quickly and require least of your efforts. While some portable water filters are equipped with complex components that require to be assembled from scratched and the cartridges need to be cleaned or replaced after every usage. Depending upon the particular situation choose whether you can handle a filter with complex components or you prefer something easier and quicker. 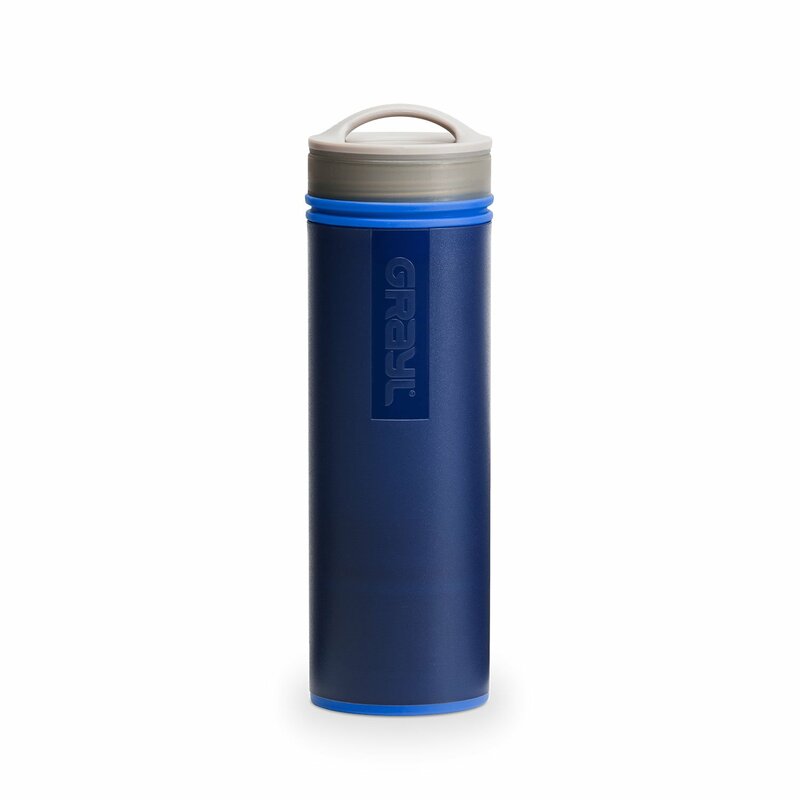 Some portable water filters are pretty strong and can withstand immense amounts of pressure you put onto it. They do not get damaged quickly due to wear and tear and run for longer periods. While some filters can get obsolete and thus don’t survive in the longer run. Different models provide different durability. Depending upon your situation you can choose whether you want to settle in for something sturdy or fragile. Portable water filters are one of the fruits of modern inventions. There are different models of filters available in the market ranging from straw filters to UV filters. 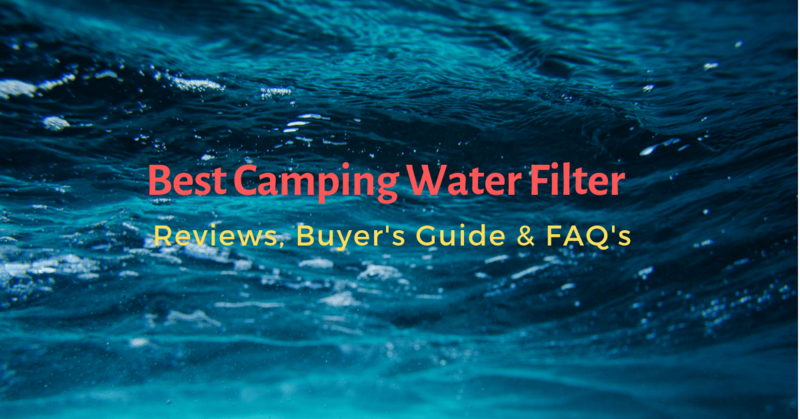 In this article, we have included 10 of the best portable water filters available in the market for you to choose from. MSR Guardian Purifier comes with a nice storage bag for you to carry and also helps in drying out the filter once you’re done using it. The Guardian Purifier is equipped with a tube that you unwrap from the filter and you pump the handle that’s equipped with the filter. It’s an easy operation, has very minimum efforts. You simply have to throw one end of the tube in the water source, screw on a water bottle to the bottom part of the purifier that is equipped with a dimple that can be attached to any water bottle, and then start pumping away to get purified water. The tubes are just 4 feet, could have been longer. This device charges with the use of a USB. 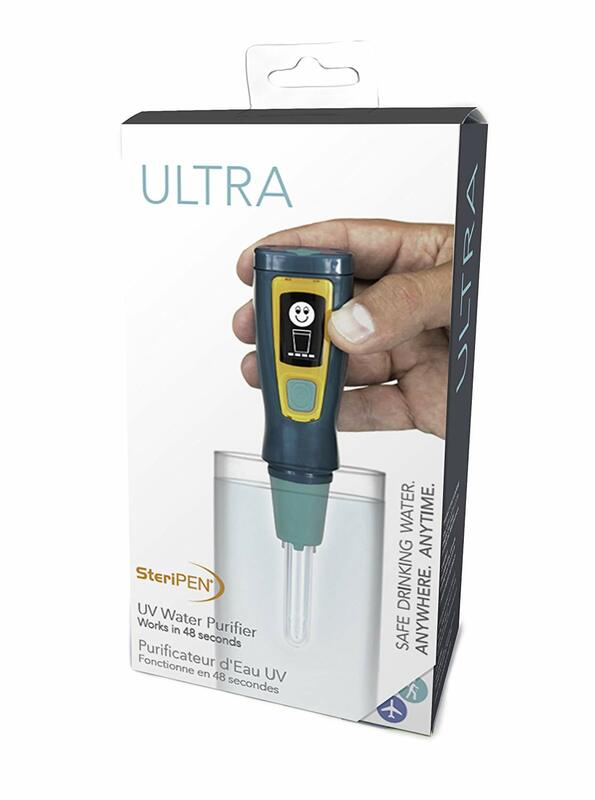 It is equipped with a UV light and you can set it to sterilize over 5 liters of water with just a click of a button. It kills all protozoans, bacteria, and viruses. It’s very simple to use, you have to press the power button (once for 1 liter twice for 2) and place it in a narrow neck water bottle. Then stir the pen through the water to sterilize it. Once the pen is in the water a countdown will appear on the display screen. It takes almost 50 seconds to purify 500 milliliters and 90 seconds to purify 1 liter. When the water has been sterilized the pen will show a smiley face on the display screen which means that the water is sterilized and is now ready for consumption. Uses UV light rays for purification. UV rays destroy 99.99% of protozoans. Very easy to operate as it requires no manual work like squeezing or pumping etc. In just about 2 and a half minutes this water filter can filter 4 liters of water. It can filter out particulates, bacteria, and protozoa but it is not effective against viruses. It’s pretty simple to use, fill up water in the dirty water reservoir, connect the filter between the dirty water reservoir and clean water reservoir with the use of their respective hoses, just hang it from a tree (hang the dirty water reservoir higher than the clean water reservoir) and then take off the shut off valve. The gravity will filter the water in just a few minutes. Katadyn is very useful in terms of removing tahttps://amzn.to/2HOWsilste or bad odor from water from untreated sources. Comes with a storage set which is really nice and is pretty lightweight so you won’t have any problems while you’re traveling long distances. If you have any multiple people along with you then this portable water filter is best as you’ll get more filtration in a quicker period of time, filling up multiple bottles in just a few minutes. 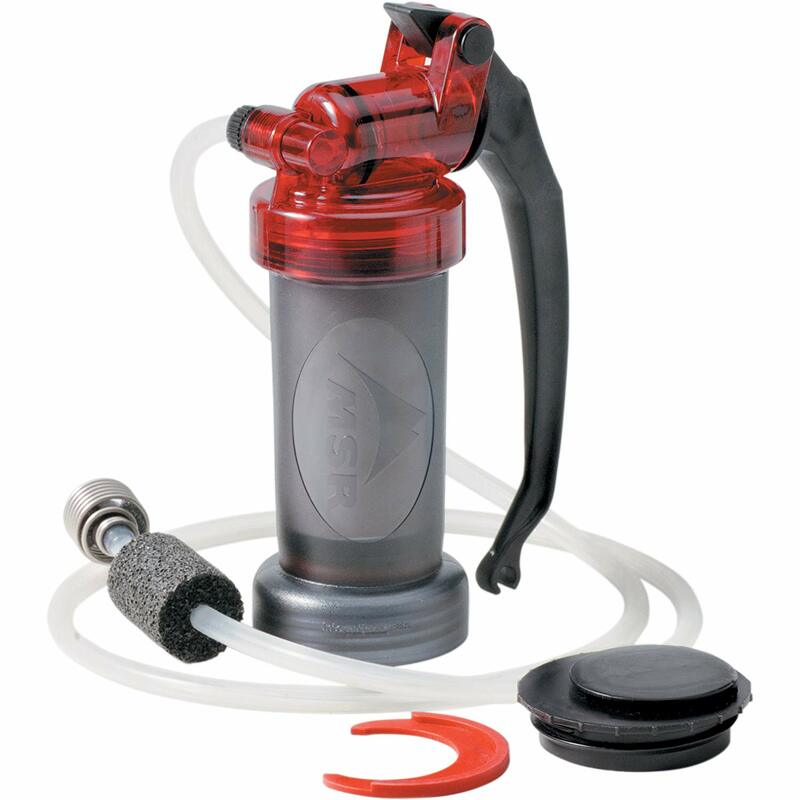 It’s a pump style filter, coming with an outline hose which you hook it up to your bottle, quick connectors, stone or large particle filter, inlet hose and a little float. Once you connect all parts and set up your filter, take the hose end with the float and throw it down the water source, attach the outlet hose to any bottle and start pumping the filter. This portable water filter is pretty small and easy to carry. It basically is a syringe and can provide up to filtration of 100,000 gallons of water. With the help of this syringe, you can attach a straw and drink straight out of a water source or you can connect a dirty water hydration pack and filter the water and drink it. 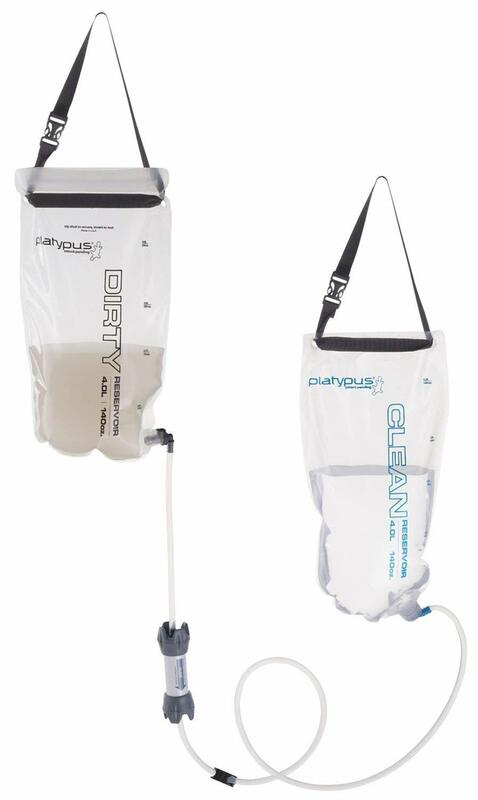 It’s pretty simple to use, fill up the hydration pack with dirty water, screw the filter on the pack and once it’s secure squeeze the water out of the pack into a bottle or drinks right out of it. Equipped with a dimple on the other end which you can attach to a dirty water hydration pack and filter it. Keep in mind that this is Chlorine Dioxide and should not be confused with Chlorine and bleach etc. This product is friendly for backpackers, survivalists, and bushcrafters, etc. There are two bottles present in the pack as there are two parts to the process. Each bottle weighs an ounce. 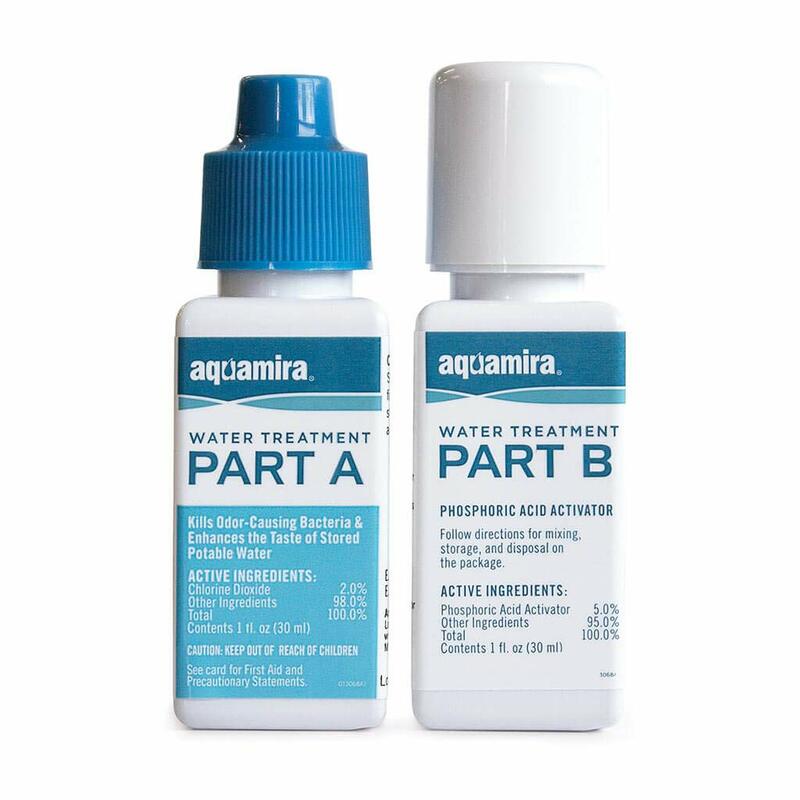 Part A bottle is the neutralizer and Part B bottle is the Activator. Pour 7 drops of Part A and 7 drops of Part B into the mixing cap provided with the pack and let it activate for a few minutes, once the fluid turns a fluorescent color it means it is ready to be poured into 1 liter of water and wait for another 5 minutes. 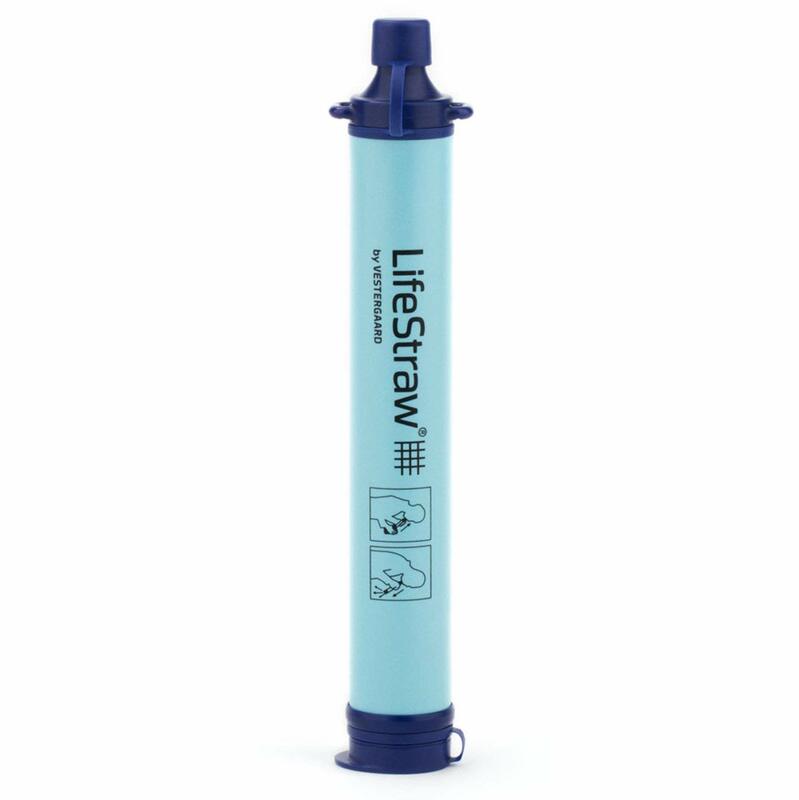 LifeStraw removes over 99.99% of waterborne bacteria and protozoan parasites. It is a good tool to have in your camping kit. The LifeStraw needs to be primed before use as in it needs to be submerged in water for a while so that the whole filtration system can get moistened. It doesn’t require any efforts in setting up as it is a basically just one piece. It is also pretty simple to use, take water from the source in a container, open up the lids of the LifeStraw, place it in the untreated water that you’ve collected and used the LifeStraw just like a plain straw by sucking the water. It is important to note that while LifeStraw is effective against particulates and debris, it should never be used on an untreated water source where industrial toxic can be present. GRAYL has a complete flip to the filtration system, it is different from the usual filters as you’re not forcing the water through the filter but rather you’re collecting the water and forcing the filter through the water. The manufacturers have come up with a different thought process and the best part is that these filters are replaceable. The filtration process is simple as it gets, fill water from an untreated source till the marked point in the silicone bottle, nestle the bottle onto a sturdy place, take the filter and clean water component, gather your body weight and push down the filter. The purified water will now be collected in the bottle now. This is a powerful little filter system that is most suitable for solo backpacking or small groups. It has a neat design allowing you to change the way you filter depending upon the quality of your water source. Has a more reliable filtration system. There are two pumps present in the main cartridge, this simply means that you will get water flowing through the system using the downwards stroke as well was the upwards stroke. Katadyn allows you to adjust the type of filtration you want – either you can choose a faster flow or a longer life by adjusting the internal units of this component. It is quite simple to use as well, just throw one end of the tube in the water source, screw on a water bottle to the bottom part of the purifier and pump until the desired amount reached. 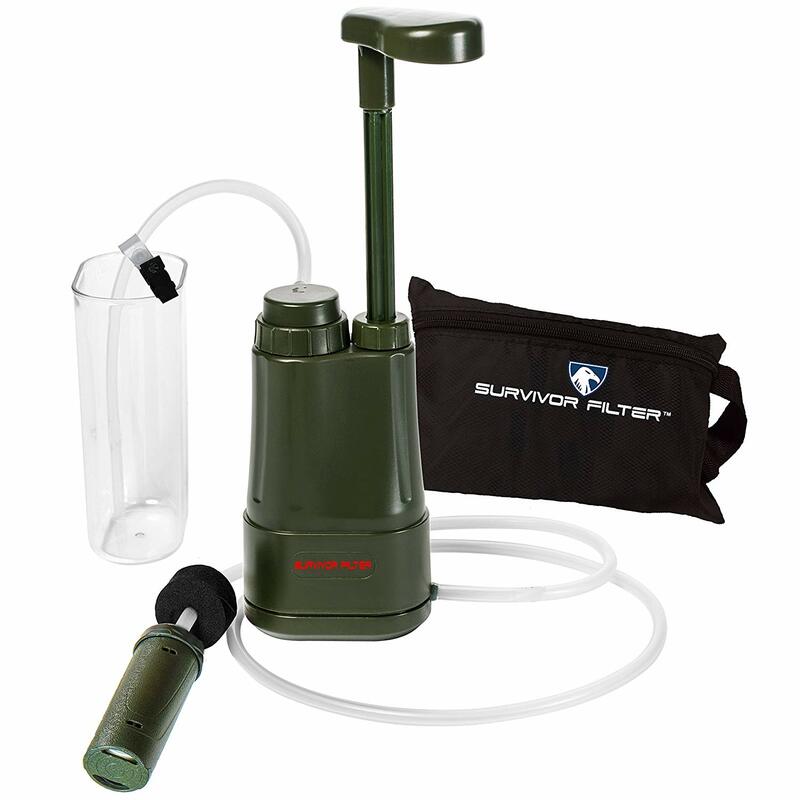 Survivor Filter PRO comes with a container cup, inlet hose contained in a little plastic bag, a carry case, an outlet hose, the box also provides one spare inlet part for the filter. The main part of the filter is made up of plastic and it reduces weight. The filtration capability of this filter is 0.01 microns. Whether the source is moving water or stagnant like a lake, throw the inlet hose towards the source, start pumping it a few times to get air out of the flow coming out of the pump, place the outlet hose inside a water bottle and pump as necessary. Effective against viruses, protozoans, and bacteria. Can be used during hiking, camping, hunting, and fishing, etc. What does portable water mean? Water which is free of any harmful chemicals or toxins and is safe for consumption is portable water. In other words, it basically means clean drinking water. Portable water should not just look clear, odorless and taste good but it should not contain any bacteria, viruses or protozoans that may cause waterborne diseases. What do water filters remove from the water? Different models of water filters are equipped to remove different types of toxins, impurities and chemicals. Some water filters are effective against bacteria and protozoans only but not viruses while some are effective against chemicals but not bacteria, protozoans, and viruses. How reliable are portable water filters? If a portable water filter meets the certification standards of NSF International, then it is considered as reliable. NSF International is an esteemed organization aiming to protect human health by setting basic standards for food, water, and other environmental products. Water filters that meet the NSF International standards have a logo printed on them. How to care for your water filters during cold temperatures? During freezing temperatures, there is a possibility for the water filters to crack because of which toxins and other harmful substances can seep into your drinking water the next time you use the filter to purify. During such situations warm up the filter using your body heat. You can put the filter inside a ziplock back and keep it close to your body when you’re sleeping. When should you replace the filter? One of the simplest ways to find out when is it time for replacement is by noticing the speed of the water flow while purifying. If the water flow has become slower than usual then this indicates that the filters have been clogged with dirt and need a replacement immediately. Another way is to keep track by noticing the filter capacity of the product. Once you have noted down your budget, particular features and weight etc. buying a water filter won’t be that much of a pain in the neck. We hope this article has given you a little insight regarding portable water filters suiting your personal situation. We also hope you travel in style without having to worry about getting yourself or your loved ones sick. Happy Travelling!